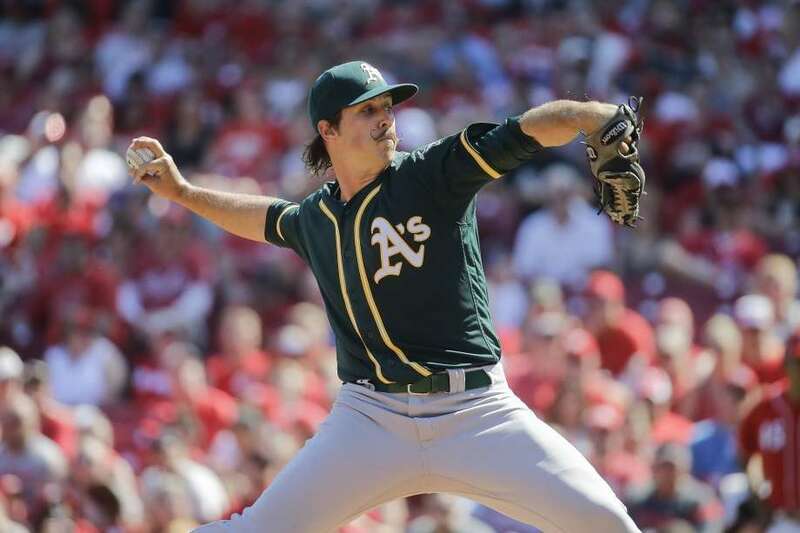 Former Quad Cities River Bandits pitcher Daniel Mengden made his major-league debut for the Oakland Athletics on Saturday, taking the loss despite giving up only two runs. Mengden allowed six hits and four walks in 5.2 innings. He struck out five and gave up a two-run homer to former Dayton Dragons outfielder Jay Bruce in the Cincinnati Reds’ 2-1 win. Mengden pitched in the Midwest League in 2015 while he was a Houston Astros prospect. (The A’s acquired him in a midseason trade last year.) The right-hander went 4-1 with a 1.16 ERA, 36 strikeouts and eight walks in 38.2 innings pitched for the River Bandits. As you can see in the photo at the top of this post, Mengden still sports a handlebar mustache. He wore his facial hair like that when he was with the River Bandits, too. 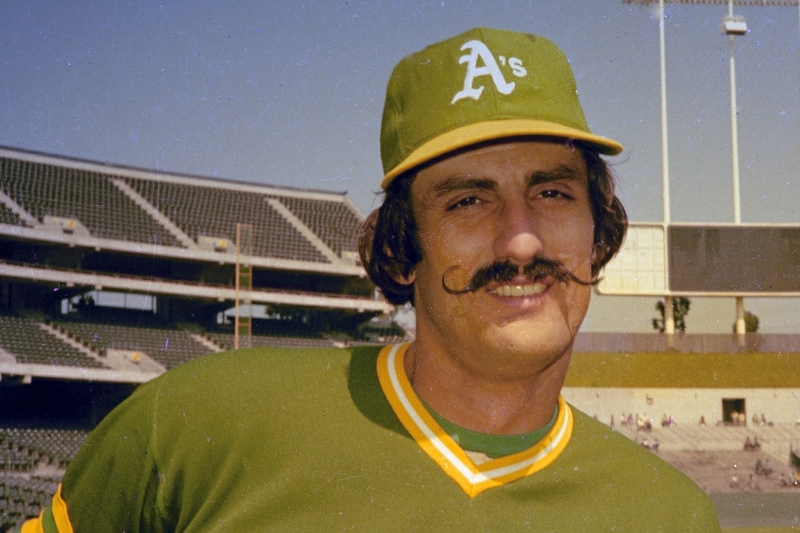 Oakland players wore throwback uniforms Saturday, which helped give Mengden an old-school look reminiscent of Baseball Hall-of-Famer Rollie Fingers. This entry was posted in Baseball Hall of Fame, Dayton Dragons, Midwest League, Quad Cities River Bandits. Bookmark the permalink.